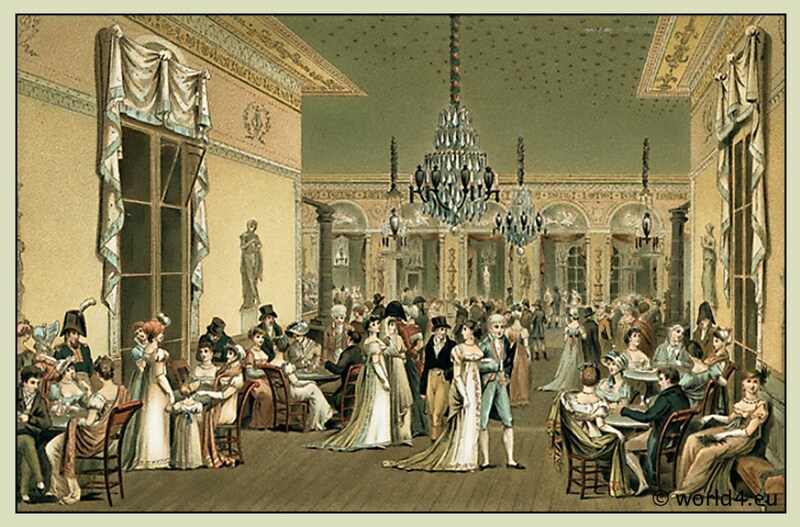 Home » The Salons of Paris 1786-1789. 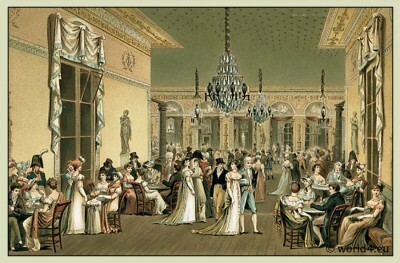 The Salon of Madame de Beauharnais. 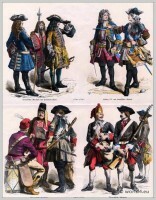 Not one of the least significant signs of the time, and indicative of the position that woman was gradually usurping in the sphere of public life apart from fashion, were the “Salons,” which after the death of Louis XIV had gradually commenced to gain in importance. 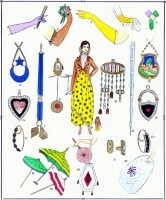 Started originally as political coteries, they eventually spread their influence through every phase of feminine fashion. Among such a brilliant assemblage conversation would be mainly on political events, as might have been expected from the position of Madame Necker, but it was seldom restricted to the one topic, as Madame Necker believed in what she was pleased to call “general conversation,” though she was scarcely more than a figurehead in her own house, where she only held a Salon by reason of her husband’s position. 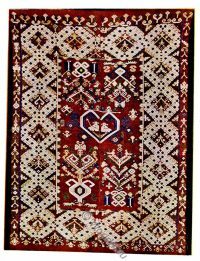 It was written of her at the time, that she neither understood nor was accustomed to grandeur, was a dominating woman in her relations, and combined with this failing a lack of breeding, a cold, reasoning spirit which presided over a conversation rather than started one, and had much vanity and little pride. Hardly a flattering portrait, yet it was at her Salon that all that was most distinguished in the political and fashionable world assembled. 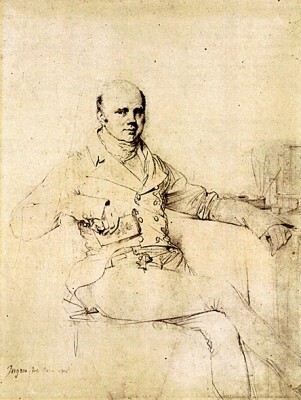 Jacques Necker 1732-1804. French statesman. Finance minister of Louis XVI. Another Salon equally renowned, but where the guests felt more at their ease, was that of Madame de Beauharnais. 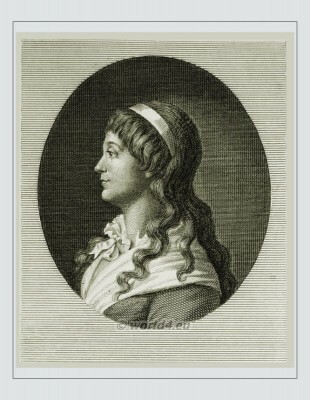 (Condessa de Beauharnais (Fanny de Beauharnais), born as Marie-Anne-Françoise Mouchard de Chaban, 1737-1813). She was one of the grandmothers of Stéphanie de Beauharnais, the adopted daughter of Napoleon, and was due to marrying into the family Beauharnais on her own and in the other Parisian salons of the Ancien Régime significant social influence. Equality and Liberty presided there at all times. 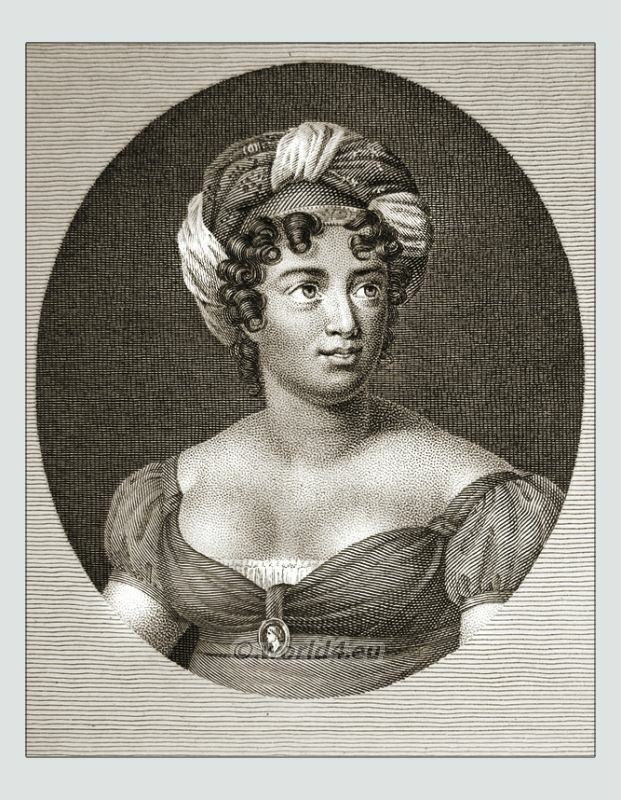 The authoress of the “Fausse Inconstance” (free ebook) and the “Amants d’Autrefois” had no tendency, like Madame de Staël, toward those virile glories which are always offensive in women. To her talents were added every feminine charm. We are told in the quaint language of a French writer of the time that “Madame de Beauharnais had the delicacy and tact not only to receive, but to ‘greet’ as well. She knew how to listen, and appeared to listen even when she was not doing so. She had made in her life two or three witty remarks, and only repeated them occasionally. To these charms and affectionate comradeship were added a good table, and dinners on Tuesdays and Thursdays. Her Salon was an excellent auberge.” It is not surprising after reading this eulogy that one learns that those who were anything in the Paris fashionable life in those years were to be found at Madame de Beauharnais’ receptions. Paris had yet another curious Salon where pleasure was a serious business, and where all the revolutionaries were admitted. An Englishman, the Duke of Bedford, gave balls which had all the eclat of the famous supper-parties of Grimod de la Reynière. 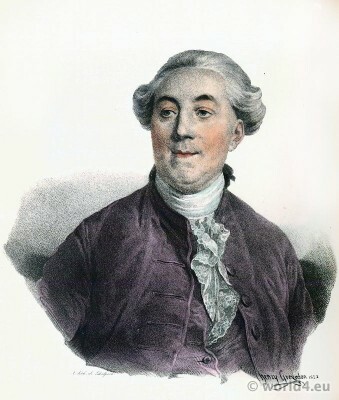 The Revolution had not driven him from Paris, and it interested him to watch what was going on around him, for he was very keen on the subject of Jacobinism,’ and very inquisitive, somewhat like a spectator who runs no risk of having to pay for his treat. The Duke of Bedford invited all sorts of people to his fetes of which the Marquis de la Vilette was the ornament and the president. Society promised itself not to go to his house, but went all the same. Whether it was curiosity on the part of the women to see what dresses the Duchesse d’Arenberg or Madame de Sainte-Amaranthe would wear, or to hear the latest double entente of the Duke, or to gaze on the flowers or fruit, it is difficult to know, but it is certain that an invitation to one of these balls was the ambition and dream of both men and women of the fashionable world of that time. 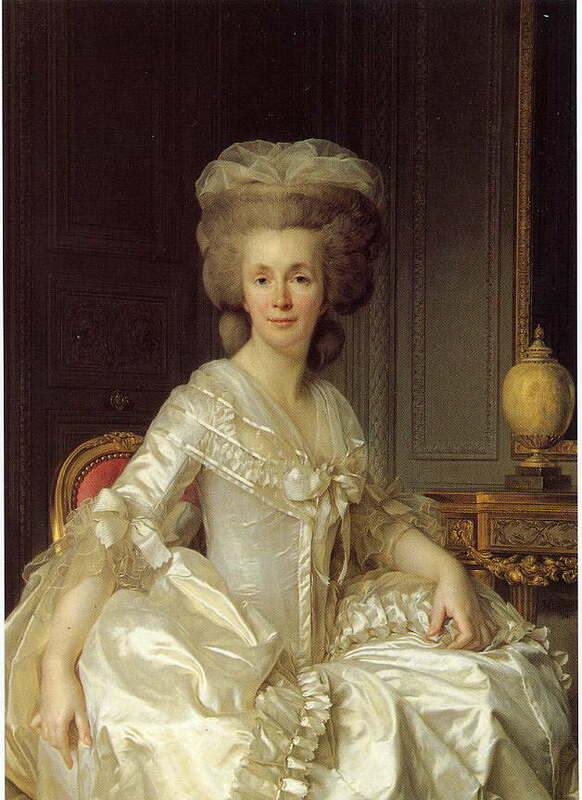 But perhaps one of the most important of the Salons of this time was that of the ill-starred Madame Roland, by Tcason of its having become the resort of such leaders of the popular movement as Robespierre, Danton, Brissot, and their satellites, exercised an influence which made it one of the most serious factors in Paris political life of these troublous times. 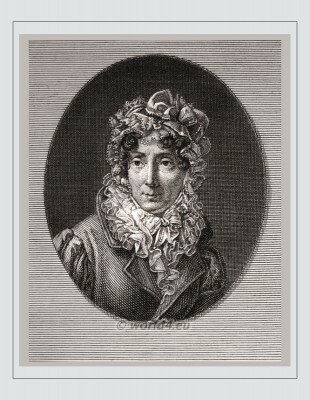 Though not beautiful in the ordinary acceptance of the word, Madame Roland possessed a charm which, combined with a calm and learned reasoning and power of observation, brought her many admirers amongst the extreme party whose cause she had espoused. Her antipathy to the Monarchy expressed itself in her every act, as is evidenced by her not only aiding in the publication of the ultra-revolutionary journal, “The Republican,” but also by the petty hatred and animosity she never missed an opportunity of displaying towards the hapless King and Queen. She was filled with ideas of a Republic for France which were almost Utopian in their aims, but which, as the result shows, were never destined to be realised. The name of Madame Roland is remembered amongst the many remarkable feminine characters of the time, more especially by reason of her extraordinary courage, and her untoward fate at the hands of those whom she had helped into power. That she exerted a strong influence over the destinies of France from the dawn of the Evolutionary movement cannot be doubted, and for that reason, if for no other, the fame of her Salon has passed into history. 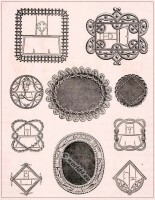 Apart from these historical Salons there were others equally famous at the time, as for instance those of Madame de Polignac, Madame de Genlis, and la Duchesse de Chartres, all of which were centres of individual coteries of which, however, it is impossible to give more than passing notice in a work of this description. This brief summary, however, will have conveyed some idea of the part taken by women of fashion in the period under review. Félicité de Genlis 1746-1830. 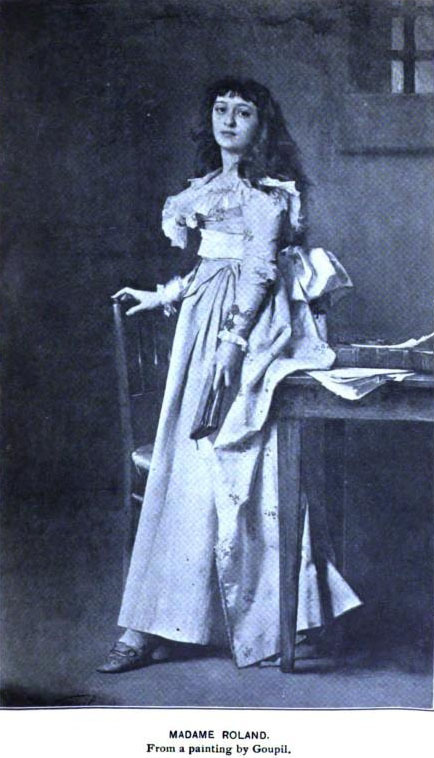 Madame de Genlis shortly before her death. 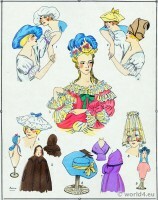 Morning and Afternoon dresses july 1796. Heideloff`s Gallery of Fashion. Rococo shoe buckles, 18th century.